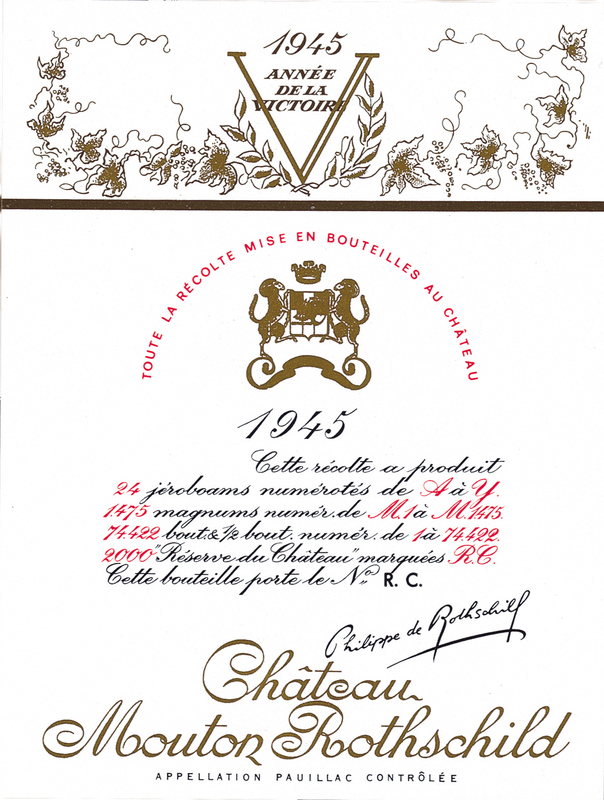 In 1945, to commemorate the Allied victory, Baron Philippe de Rothschild had the idea of embellishing the Mouton Rothschild label with art-work: in this instance, a symbolic design intended to celebrate the return of peace. He commissioned this from a young unknown artist, Philippe Jullian (1921-1977). Having displayed early promise as a designer, he was to go on to become a successful dramatist. He submitted several drafts for the label: this one is based on the famous “V for Victory” that Churchill used throughout the war to rally the forces of freedom.